Bishops Gate Golf Community is an intimate, private golf community nestled on the banks of Little Lake Harris in Lake County, Florida. From the grand oaks on the newly-renovated golf course, to the marina offering access to Florida's Chain of Lakes, life at Bishops Gate is simple and friendly. The redesigned golf course and outstanding practice facility are home to the Bishops Gate Golf Academy, PGA touring professionals, members and residents. 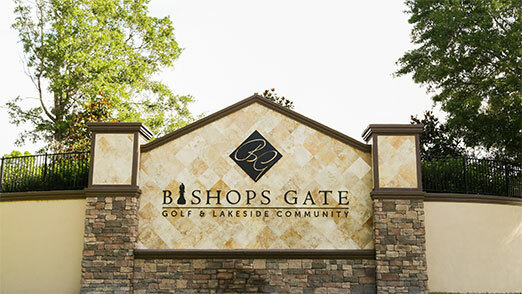 Recieve news and updates about Bishops Gate Golf & Lakeside Community. Although a private golf course principally for residents, we do offer a limited number of memberships and College Golf packages. 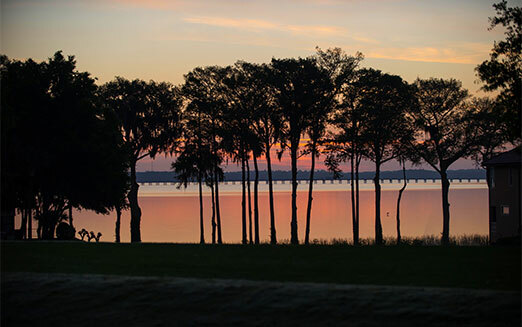 Located in the rolling hills of Central Lake County, Florida, Bishops Gate Golf and Lakeside Community is 10 miles from the Florida Turnpike and about 40 minutes north-west of Orlando.